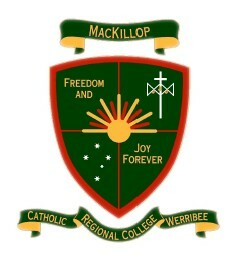 John Paul College is a regional coeducational Catholic secondary college, established under the authority of the Archbishop of Melbourne and operated on his behalf by the parish priests of the five member parishes of the region, Chelsea, Frankston, Frankston East, Langwarrin and Seaford, through the College Board. 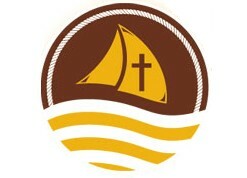 The college aims to assist parents in educating their children into full Christian maturity. All families, staff, parents, students, parish clergy and parish members see themselves as part of the John Paul College community. 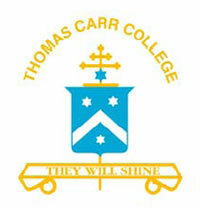 Thomas Carr College was established in 1997 with an initial enrolment of 72 students. In 1998 we moved to our permanent site at 35 Thomas Carr Drive Tarneit. 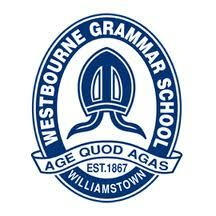 We currently have approximately1200 students from Years 7 to 12. As a Catholic School we aim to educate our students with an appreciation of the spiritual as well as the intellectual and physical aspects of their lives. We aim to work with our parents to produce young people of faith and character. The College is situated on over 10 hectares of spacious grounds incorporating modern, state of the art facilities consisting of a newly built Middle School Science Centre, art and design rooms, technology (IT, materials, food, wood, fibre, media) laboraties, a well resourced Information Centre, a horticulture patch, drama and music rooms, an International Friendship Centre for the International Students Program and a fully equipped gymnasium. We also have a first class oval for football and cricket, 8 multi purpose courts for tennis and basketball and practice areas for hockey and cricket. Lighthouse Christian College Cranbourne is dedicated to helping Christian families provide affordable and good quality Christian education for their children. As an independent school we are committed to providing the choice that many Christian families are looking for in terms of the education of their children. To build a unique school that will equip a Godly and skilled generation to reach their God-given destiny and transform their community. 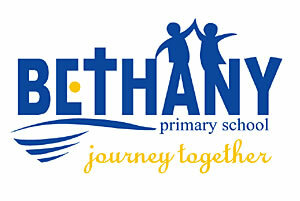 Bethany is a large co-educational Catholic primary school situated in Werribee North within the western suburbs of Melbourne. Established in 1995, Bethany promotes and values academic excellence and provides a balanced, personalised curriculum with a strong focus on student wellbeing. The purpose built facilities include four learning centres specifically designed to cater for the developmental needs of the individual. Each centre is spacious, bright and well resourced to meet the needs of the 21st Century learner. The school strives to create an environment of mutual respect and support among staff, parents and students, and to maintain the flexibility and open-mindedness required to deal with a constantly changing educational environment. 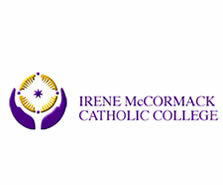 Irene McCormack Catholic College is a co-educational secondary College accommodating about 850 students from Years 7 to 12. Irene McCormack offers a holistic education where students are challenged to explore their spiritual, religious, intellectual, physical, cultural, social and emotional potential. Irene McCormack Catholic College (IMCC) strives to be a leader in educational and technological excellence by providing students with the best hardware, high-speed broadband and trained teachers to integrate new technology into the curriculum. We continue to work towards improved classroom achievement with a focus on individual engagement and academic excellence, gained by integrating the use of technology with best educational practice, and by providing teachers and students with current and relevant digital resources and facilities. 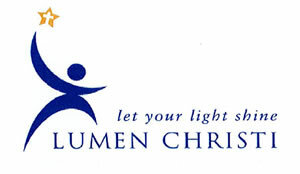 The Staff of Lumen Christi Catholic Primary School, Point Cook are committed to providing a comprehensive and inclusive curriculum; one that attends to every child’s complete development – mind and body, intelligence, sensitivity, aesthetic appreciation and spirituality. As part of that complete development we aim to equip our students to develop their own independent, critical way of thinking and judgement so that they can make informed decisions that attend to their own specific educational environment throughout their lives. As respectful educators, we endeavour to provide learning experiences that are meaningful, contemporary, relevant and suited to the individual’s ability, their stage of development and to living in our Australian society. The making of meaning, which is a life-long process is at the heart of our curriculum. The teaching and learning of the Catholic faith is the primary purpose of St. Andrew’s School. We endeavour to continue the education in faith already begun by the parents in the years prior to commencing formal education. It continues as a partnership with parents and the Catholic community of St Andrew’s Parish. The sense of community that exists at St. Andrew’s is a strong one. It is exemplified by the willingness of all members (parents, staff, parish priest, pastoral associates and parishioners) to support, encourage and be there for one another. Our school is characterised by dedicated teaching and administrative staff, caring and responsive family groups, and children who possess a love of learning and sense of fun. Our purpose today is to educate for strong, moral and disciplined individuals who strive for excellence and who develop their intellectual, social and creative talents in order to be effective, responsible citizens. 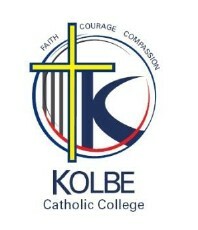 Kolbe Catholic College is an integral part of the local and universal Church, a community of people sharing a common belief in the Gospel with its life centred on Jesus Christ. As a Catholic school Kolbe Catholic College seeks to educate the whole person, and integrate Faith with the culture and life of a developing young person in Australian society. Priority is given to fostering each person's best expression of self. Particular attention is given to the holistic view of a contemporary curriculum, with an emphasis on teaching vital skills such as literacy, numeracy and social co-operation, whilst integrating knowledge, skills and values across all learning areas. The College community is inspired by the legacy of St Maximilian Kolbe - a story of heroism, courage and self-sacrifice; a beacon of hope for the future. Kolbe's life and death inspires us to follow Jesus as he did; his faith, his commitment to those in need no matter what it would cost him and his passionate concern for excellence in living his faith. Witness to the presence of God amongst us by celebrating our Catholic heritage as a faith community. In this, we seek to be disciples of Jesus, our model for authentic humanity. As a most important part of our parish, St Leo The Great Primary School provides a welcoming, safe and enriching learning environment that promotes success for all. Our staff presents and gives witness to the teachings and traditions of the Catholic Church, so that our students may come to know and worship God, and to love and respect their neighbour. Our motto ‘unity is strength’ inspires our children, parents and staff to cooperate in all we do. We at St James the Apostle Primary School are very proud of our dedicated staff, supportive and involved community and the wonderful children who attend the school. If you already have children at our school, we look forward to continuing our partnership with you. For new families considering enrolment at St James, we would welcome the opportunity to present to you the great educational opportunities that our school has to offer. Our aim is to create an atmosphere of faith and a sense of community in which all can participate and feel welcome. We look forward to journeying with you, celebrating our faith and belief in God, encouraging, supporting and caring for each other as we face the challenges that are ahead. Heathdale is a Kindergarten to Year 12 College, with over 1100 students, that aims to cater for the educational needs of the community in the Western Regions of Melbourne. We are a non-denominational, co-educational Christian College that offers excellence in a comprehensive Christ centred style of schooling. At St. Peter Apostle Primary School, we recognise that each person is special and we aim to provide an education in an atmosphere of love, support, trust and understanding. We endeavour to meet the needs of all children, parents and staff. As part of the community of St. Peter Apostle Mission Parish, we foster an environment where we all may grow in faith. St. Peter Apostle Primary School was formed in 1973 as part of the Werribee Parish with an enrolment of twenty-six students. St. Peter Apostle Hoppers Crossing was proclaimed a parish in 1977. The school enrolment grew quickly in the early years and peaked at 733 students in 1985. Over the past five years the average enrolment has been 600 students and the present enrolment is 596. St. Peter's has a diverse, multi-cultural (29 ethnic cultures) school community that is comparatively small in area to other neighbouring Catholic Schools. Our Index of Community Socio-Educational Advantage (ICSEA) value of 1046 indicates we are just above the average ICSEA national values. Annunciation is a small, community oriented Catholic school serving Brooklyn, Altona North and surrounding areas. Our school is a place where everyone is known, welcomed, and cared for according to their needs. Our strong commitment to our Catholic values helps us create a caring, safe and happy school. We have a dedicated, caring staff who work hard to provide a quality curriculum. Point Cook Prep – Year 9 College community. 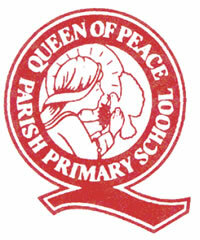 The College (formerly Point Cook Primary School) was established in 1923 on the RAAF Williams Base, Point Cook. The College brings together the best in contemporary educational design and promotes active studentcentred learning through the creation of flexible, functional spaces. It will also be a leading example of ecological sustainability, with a wetland to retain and reuse water and a range of other utility conservation measures. This is a key initiative in linking the teaching of environmental sustainability with its practical application and the College vision. We all have talents and capabilities that are nurtured in an environment that respects the dignity and worth of the whole person. We welcome all people into a peaceful environment that empowers them to become proactive members of our global community. We value opportunities for learning and reflection that challenge us to aspire to individual excellence.